Why not buy a smartwatch? That’s what you’re thinking, right? Smartwatches are pretty good for lots of things, but that’s exactly it. They’re jack of all trades and master of none. Typically, the battery life on a smartwatch is pretty low, and the wealth of notifications pinging off your phone can be overwhelming when you simply want to focus on your run. Instead, a dedicated running watch will give you far better battery life, and something you can use solely for your exercise workout. They’re often more durable too, as well as sweat resistant. Even better, many will work for other activities too, such as cycling or even swimming. Now, you’re going to notice by the end of our little roundup here that there’s a lot of Garmin watches. That’s not without good reason. Garmin is easily the best manufacturer of running watches out there. We could have written an article solely on Garmin watches—that’s how many there are, and how good they are. If in doubt, go with a Garmin. They’re just that good. None the less, you’ll notice a few non-Garmin picks snuck in there at different price points and in different categories. For now, check out our picks of the best running watches currently out there. You can spend a lot of money on a running watch if you want to, as you’ll see below with our premium choice. 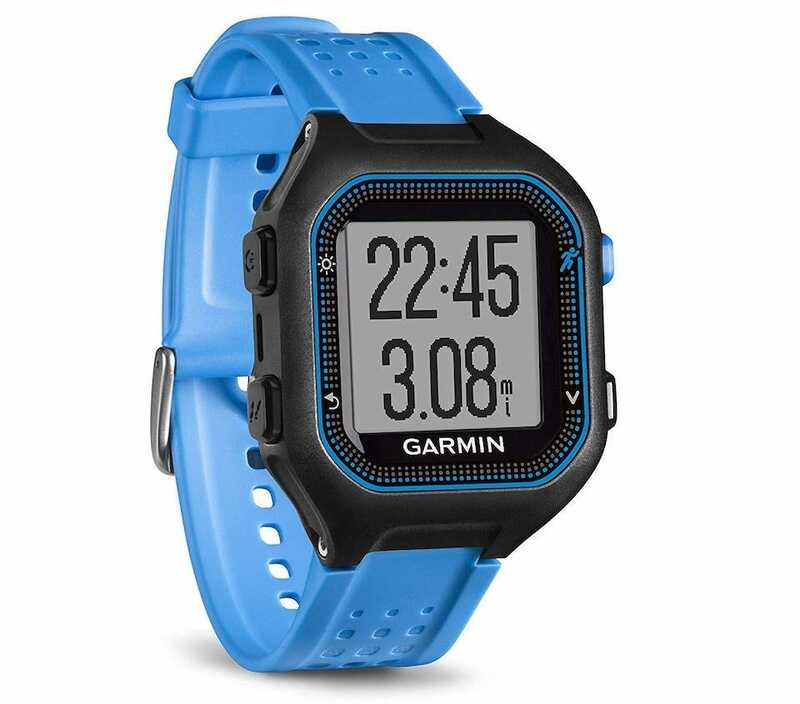 Coming in as the perfect all-rounder, however, is the Garmin Forerunner 235. The watch does pretty much everything the average runner could need. It tracks the route you take, distance, pace, time, and your heart rate as you run. It’ll even determine the maximum volume of oxygen you can use during your workout. Alongside that is live tracking and audio prompts to encourage you to go further, with social media sharing giving you some more personalized encouragement. 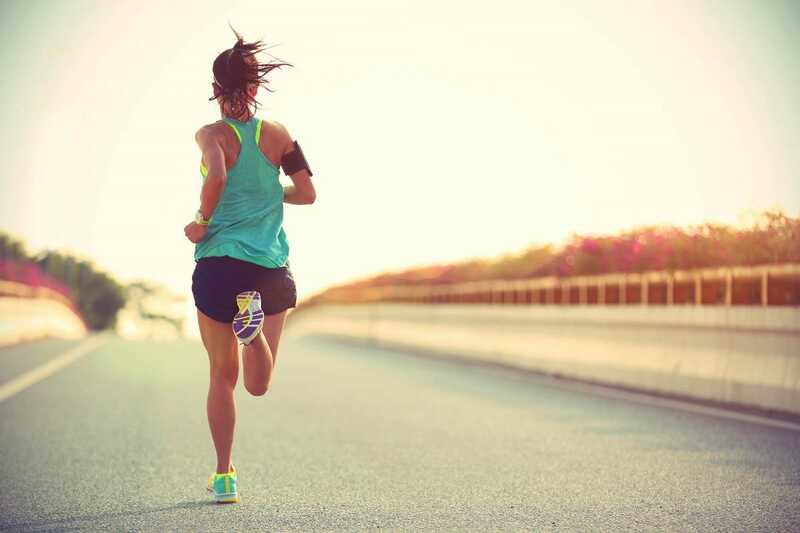 When not running, it works as a fitness tracker, counting your daily steps, calorie intake, and your sleep. With the GPS mode switched on, it has a battery life of about 11 hours, while switching it off gives you an impressive 9 days battery life. In case you want to use it as a regular smartwatch, it also offers notifications for your emails, text messages, calendar reminders, and calls. It’s water resistant too, offering protection from sweat and rain (but swim any laps). If there’s a little more room in your budget then the Garmin Forerunner 645 is a great purchase. 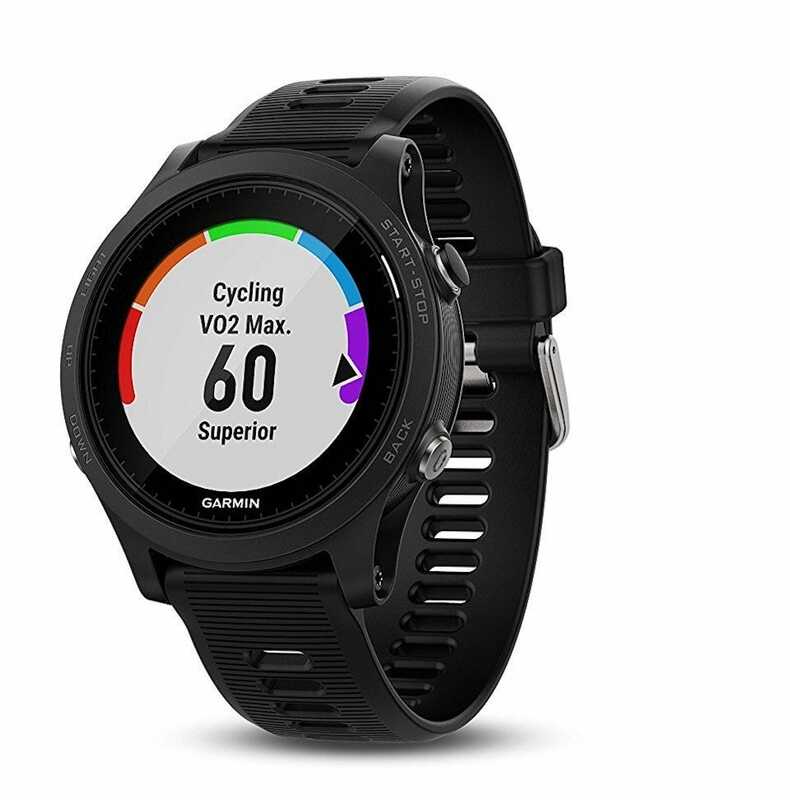 In addition to everything the Garmin Forerunner 235 provides, the 645 offers additional running analysis. It tracks your ground contact time balance, stride length, and accurately determines if you’re under training or overdoing it. Essentially, it’s like having your very own personal trainer follow you around as you run. Its battery life is still decent with 12 hours in full smartwatch mode or 7 days with the GPS switched off, and its heart rate monitoring is more advanced than its cheaper buddy. There’s also Garmin Pay which provides contactless payments, so you don’t have to worry about carrying cash or cards around while you run. Do you need a running watch that also works for every other sport imaginable? If you’re intending on participating in triathlons, you certainly do. That’s where the Garmin Forerunner 935 is the ideal solution. It’s pricier than most but it caters for multiple different sports, and weighs a mere 49 grams. It tracks elevation changes via its built-in barometer, has an altimeter and electronic compass, proving ideal for hiking. As well as that, there’s advanced feedback for running, cycling, and swimming, so you can see exactly how you’re performing each step of the way. Battery life is an impressive 2 weeks in smartwatch mode, with GPS mode bringing that down to a still hefty 24 hours. If you’re constantly on the move, you don’t want to have to recharge your watch regularly, so this is the ideal way of circumventing that. It’s the swiss army knife of exercise watches. In our first break from the Garmin line we have the Polar M430, a rare example of a really great running watch that isn’t made by a different company. The watch does plenty of things you’d expect, such as tracking speed, distance, pace, and the route you take via its integrated GPS. There’s 24/7 activity tracking too, right down to your sleep. Also, vibration alerts for all your necessary notifications. 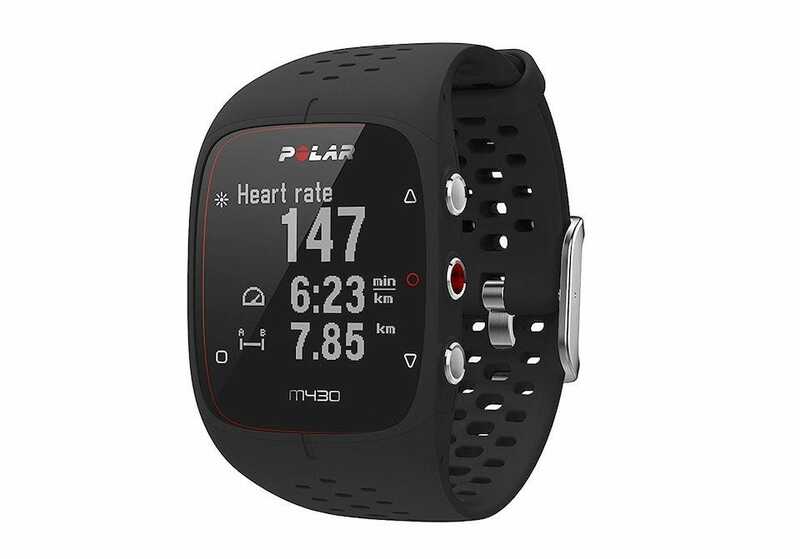 Where the Polar M430 stands out is through its personalized running programs which adapt according to your needs. Tied into that is a recovery status that gives you an idea of when you need to rest and when you’re good to return to running. Such features are value, particularly when starting out, making this a smart purchase. There’s truly a Garmin solution for every budget. 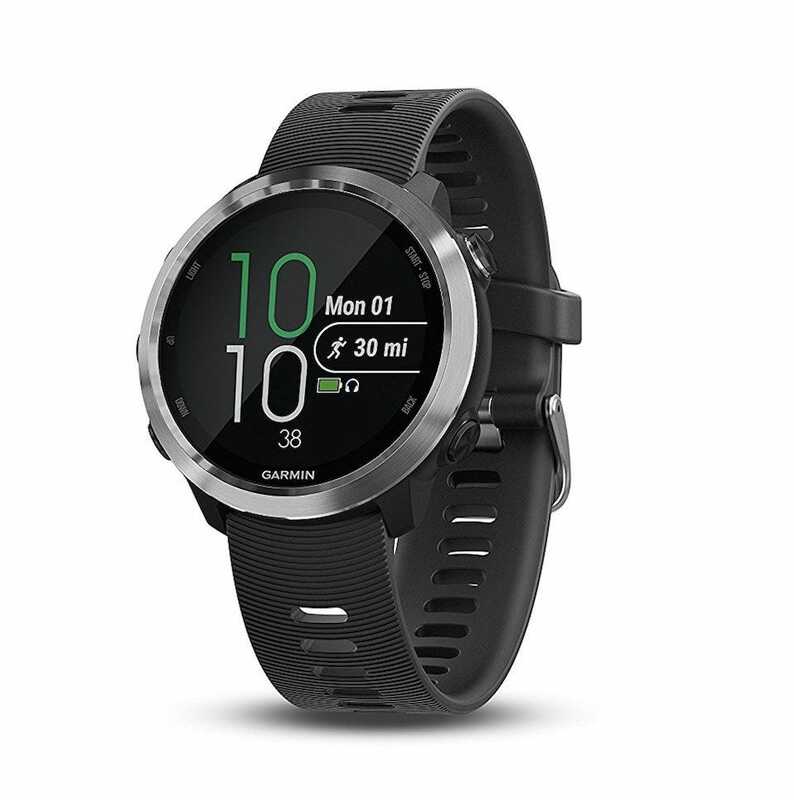 The Garmin Forerunner 25 is only $99, but it offers sufficient features to make it a worthwhile purchase. 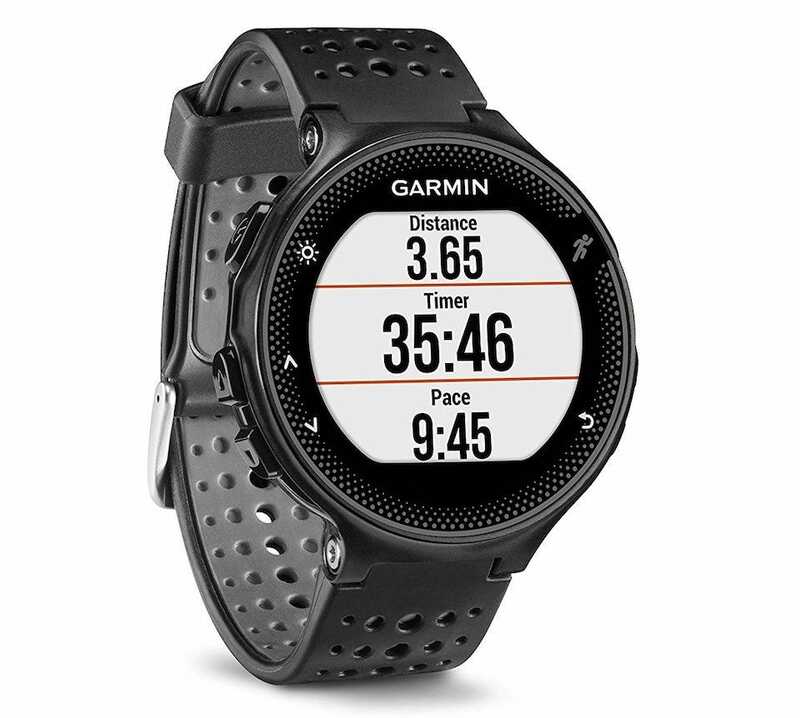 With integrated GPS, it tracks where you ran, how far, and how fast. It doubles as an activity tracker the rest of the day too, although there’s no sleep tracking. Battery life is about 10 hours in GPS mode with an impressive 10 weeks if you switch off GPS. There’s no built-in heart rate sensor, but you can buy a monitor separately and use that data with the watch. Also, don’t expect any advanced running breakdowns. As a simple running watch though, this should cover your main bases. 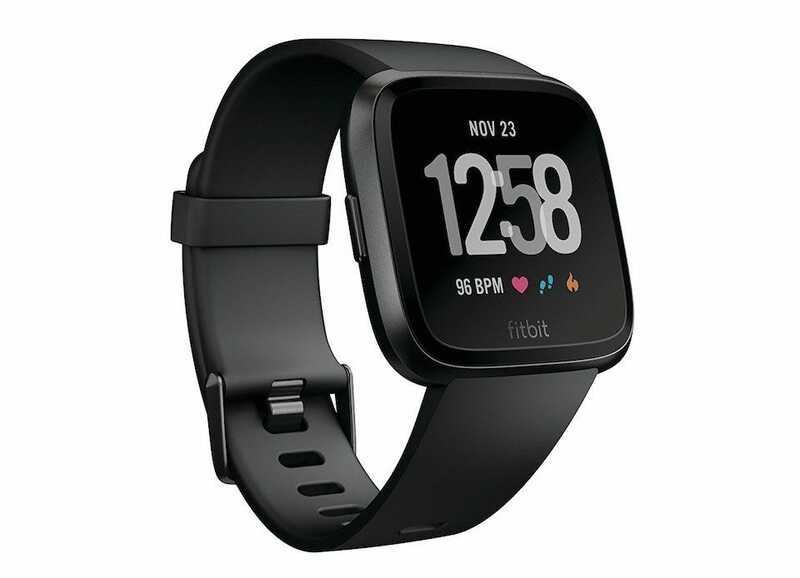 If you’re on the fence about whether you want a running watch or a smartwatch then the Fitbit Versa is the best of both worlds. It looks more like a smartwatch than the others because it kind of is. Tapping into the Fitbit ecosystem, it tracks all your activities including sleep patterns and your heart rate. It monitors over 15 different exercises, including swimming thanks to its 50 meter based water resistance. Adding to the fitness features, it also provides on-screen coaching, and the ability to store over 300 songs separate from your phone. As well as that, there are plenty of apps for keeping up with the sports scores, weather reports, and notifications for your smartphone. It’s a true mix of both smartwatch and running watch, although none of it is quite as sleek as a dedicated solution.